As anyone who has read previous of my posts regarding Bali will know I am not a believer in the notion of Bali as a destination for a tranquil holiday. That said it is not impossible to find those tranquil and quiet moments of ones imagining in Bali it just needs a bit more work than I think is the case in other parts of the world. If you really want a quiet and serene moment in Ubud then I suggest that you look at an early start – how early is up to you but I went out at 6.30 am although the town really heats up after about 10.30 am when all the day trippers from the coastal resorts make their way to the town, so I would suggest heading out before about 8:30 am. Make your way north on Monkey Forest Rd all the way to the end and turn left into Raya Ubud Road. Just before you get to the museum car park on the right hand side of the road is a small lane-way with an even smaller sign that directs pedestrians to the paddy fields. If you’re anything like me when you walk up the small track between the buildings you will assume you’ve taken the wrong turn and just when you’re about to turn around the lane opens out into the paddies – which really are spectacular. I spent a fascinating hour walking along the paths through the fields watching the farmers tending their crops, a duck farmer “herding” his beasts to the far end of the fields, a lone Balinese woman jogging and best of all there was no other tourists around. All this made for a great start to my day without the crowds and noise I had become accustomed to in the region. On returning to Raya Ubud Rd turn left back towards the markets and when you see the signs for the Lotus cafe turn into the gardens of the Water Palace – Pura Taman Saraswati. 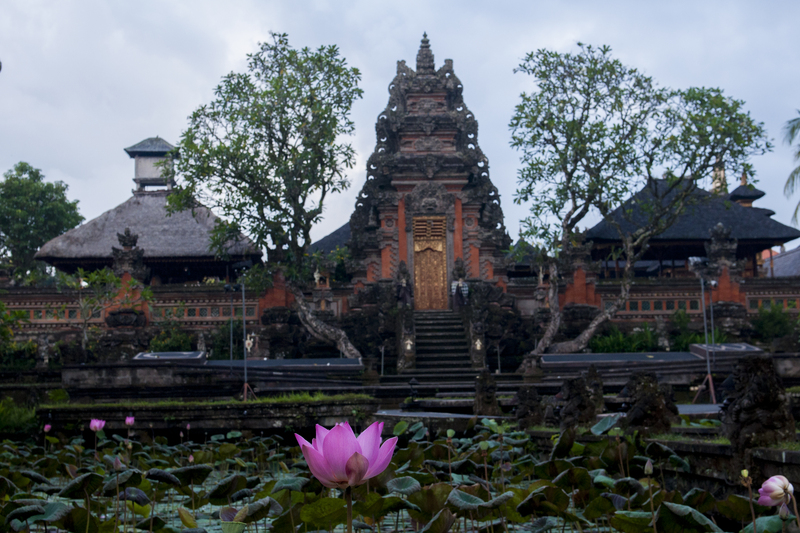 The lotus garden in front of the temple is one of Ubud’s most spectacular sites and being able to see it when the light is subtle and you are the only visitor certainly makes the early morning worth while. If the cafe is open then why not have a coffee and although I can certainly vouch for the setting I have to admit that it was not open when I visited and so am not in a position to recommend the coffee itself. So my advise for getting that feeling of tranquility in Ubud is to get an early start and head to the paddies and the lotus garden before breakfast somewhere on the way back to your hotel all before the day trippers arrive from the coast. Nice post. 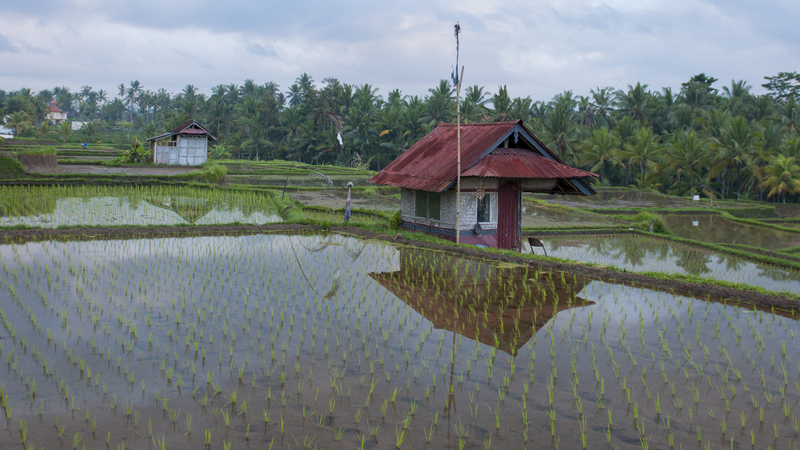 I fell in love with Ubud.